It’s the most wonderful time of the year- stockings are hung, snow is falling, and there is holiday cheer all around. It is a time of year to spend with the ones you love most, but it can also be a great time of year to buy your perfect house. You may be thinking, ‘why would anyone house hunt during the holidays?’ Most are skeptical to take the leap during such a hectic time, but purchasing a home during the holidays (Nov-Jan) can have many different advantages. There are ways to navigate the stress and pitfalls buyers often fall into, and we are here to provide you with tips and tricks to help you find your dream home before the new year. Below, our agents provided 12 tips for happy house hunting! 1: Don’t open new credit accounts or charge large amounts on credit cards as it can affect credit scores, interest rates and insurance rates. 2. In the cold, you can get a good sense of the heating system (and heating bill) but remember to test the air conditioning as well. 3. Check for large icicles! Icicles can be a sign of poor roof ventilation and poor insulation in the home. The cold weather also provides the perfect test for other features such as the plumbing and gutter systems. 4. Allow extra notice for showings because a lot of people have holiday plans and often cannot get their house show ready. 5. In the winter, there will usually be less competition with other buyers- take advantage of this perk! 6. Consider how accessible the house is- are the streets and driveway plowed and well-maintained? 7. Be flexible- weather can cause unexpected delays. Be prepared for plans to change and go with the flow. 8. Use your imagination! Don’t dismiss a property because of bare trees and dead grass. 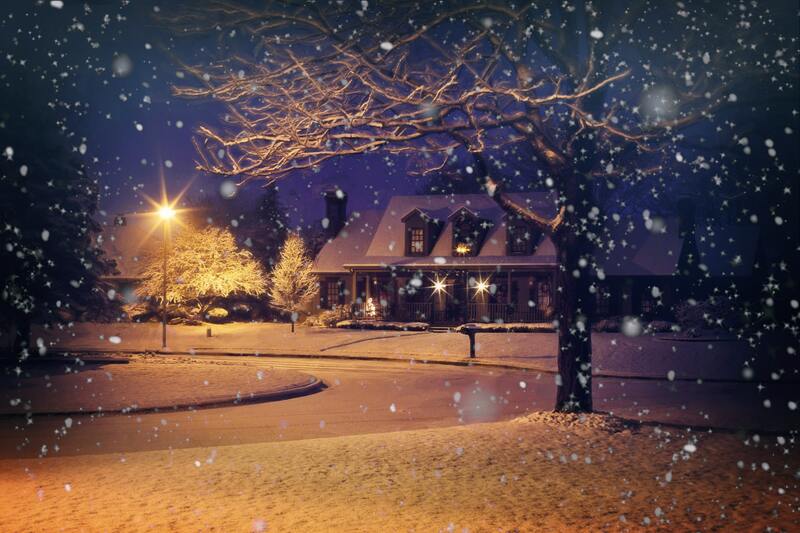 If you can fall in love with a property during the winter, it will only get better from there. 9. Ask for a spring inspection. There will sometimes be certain features you cannot check during the winter such as a swimming pool. If possible, make your purchase contingent on an inspection after the snow has melted. 10. Create a budget that works for you. Writing everything out will help you not overspend for the holidays and keep you on track to buy your dream house. 11. Do your research. No matter what time of year, you should always be thorough while searching and never rush a major purchase.